Chase the cold away with a bronzer. If you're looking for a bronze goddess golden flush, keep reading this Cargo Bronzer review. Cosmetic bronzers add just the right balance of color on natural skin tones, creating the appearance of healthy, nourished and sun kissed skin, which is gorgeous and realistic year round. Although these warm washes of color are abundant in most every cosmetic line, finding the perfect bronzer is not an easy task. Lately I've been in search for the perfect bronzer; a warming glow that can add depth without appearing ruddy, vibrant color without an orange cast, and a finish that is both natural and luminous. Can one packaged bronzer really do the trick? For those that frequent the beauty supply megastore, Sephora, you may be familiar with the silver tin can packaging that sets Canadian born Cargo cosmetics apart from the rest of the beauty pack. Cargo cosmetics has consistently won Sephora and Allure magazine beauty awards for their powdered bronzers, and their bronzer has quickly been named a celebrity favorite. With a face in dire need of color, and a discerning eye ready to tell it like it is, I decided to test out this raved product and spill the beans to LoveToKnow readers in this exclusive Cargo bronzer review. Cargo bronzer is available in four versatile shades: light, medium, medium-matte, and dark. Like most people, I found the medium finish to be the perfect shade to enhance my skin tone while adding a touch of depth. Perfect to extend bronzed tan right into autumn, the golden glow is iridescent yet filled with summer's shimmer. 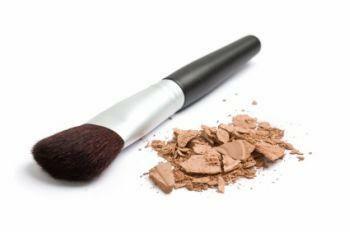 For best results when applying bronzer, it pays to have a large blush brush and a light hand. To apply bronzers, create a 3 shape on your left cheek and a backwards 3 shape on your right cheek. Bronzer should hit at the jaw line, sweep to the inner cheek and extend up and out over your brow and forehead. Application is only half the battle when wearing a bronzer, finish is equally important to create a believable and subtle sheen. Upon first bronzer sweep on my cheeks, I discovered the lightweight finish of this bronzer makes the product favorable and natural in appearance. The delicate shimmer kept my skin from appearing washed out or ruddy, without the abundant sparkle that inhabits most bronzing powders. Instantly, my face looked golden kissed and healthy, and layering the color was unbelievably easy, without the famous telltale lines that accompany most bronzing powders. The product cost is $26, and I can already tell the oversized tin will last me through twelve long months, making this an incredible beauty bargain. Year round, I can see this bronzer becoming a staple in my beauty bag. Perfect for those days when I need an instant pick me up, I'll reach for my trusty tin and sweep the golden sunshine on the apples of my cheeks without fail. For the inside scoop on other Cargo cosmetics, check out my Cargo Blush Review.